Days Gone could be the least anticipated first-party PlayStation 4 game right now, at least among triple-A titles. Still, there’s much we don’t need about the open world post-apocalyptic title, starting with the story. 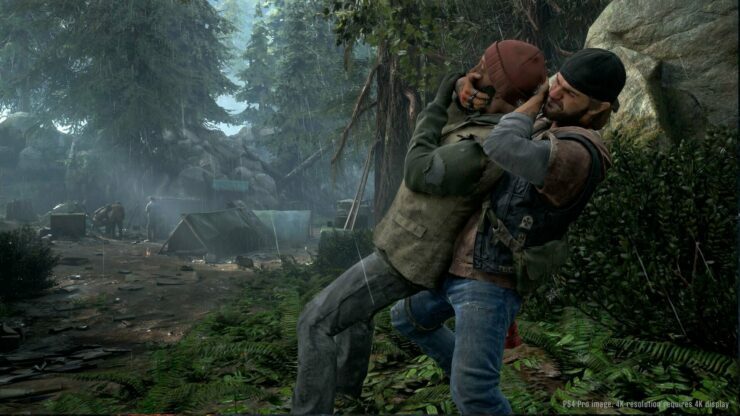 In fact, speaking with Official PlayStation Magazine (November 2018, issue 154), Sony Bend Director and Writer John Garvin openly said that it’s a huge part of Days Gone – they just haven’t talked about it yet. It’s definitely… we haven’t been focusing too much on story yet. There will be a lot more to come on that, coming soon. I’m the writer, and the director, and I’ve written all the games for SIE Bend, and they are all narrative, story-driven games. So this is a huge part of the game. We’re just not talking about it yet. Garvin also explained why having ‘infected’ instead of classic zombies will make things more interesting in the game’s environment. […] so in the grand scheme of zombies, yeah, we’re like, infected. So we’re like 28 Days Later zombies, instead of Walking Dead zombies. And that’s, to my mind at least, that’s a huge difference. Because what that allowed us to do was to create an ecosystem; you’re in an open world, with a day/night cycle, and you’ve got creatures that need to eat, they need to sleep, they need to drink… all of that is built into the daily cycles of the horde. You find a horde den – a cave or a mine – you can track what they’ve done during the day. You can actually find where they go to feed, because we have all of these mass graves in the world. That’s why they are out here in the wilderness. And then you can find out where they feed, where they drink, and you can follow them and learn their habits, and that’s important, because later on there’s going to be missions where you have to take them out. And they’re just dangerous all the time. If you run into one while you’re on the highway trying to do something else, good things don’t come of that. PlayStation Japan also shared a brand new gameplay demo for the Tokyo Game Show 2018. Days Gone does look more polished than in previous showings and it should be even better when it launches on February 22nd, 2019.